Unless your windows are excessively dirty and need a good cleaning, you probably don’t think about them much. But we encourage you to watch out for these signs that you may need replacement. Increased Energy Bills: During this time of the year, increased energy bills can be expected, given how much we use our heating systems. What if they’re much higher than you expect, though? Well, it could be a problem with your heater—but think about the age of your windows. Inefficient windows are actually a very wasteful part of any home, as they enable the heat coming from your HVAC system to escape the house. Weathering Furniture: We don’t mean to make a pun here, but the weather can weather your furniture faster! 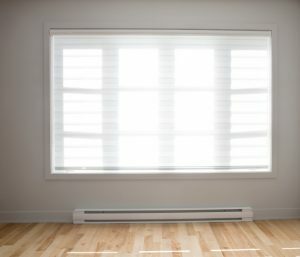 If your windows aren’t keeping out enough sunlight or are letting in too much cold air, it can affect your furniture. This is especially true for bonded leather furniture and wood furnishings. Even fabric couches and chairs can fade faster as a result of outdoor conditions making their way inside. Your Windows Won’t Shut: This is one of the more apparent signs that your windows are degrading. If they’re sticking or are increasingly difficult to open and close, it could mean that they are old or even damaged. Our pros will be able to help you find replacement windows that fit both your home’s budget and style. Improved efficiency is perhaps the biggest benefit of replacing your windows. After all, investing in the newer, double-paned windows offer you a huge energy improvement. This is because they’re able to resist heat transfer much more than older windows. We encourage you to ask our team specifically about the Milgard and Cascade model windows due to their commitment to quality and craftsmanship. Efficiency isn’t the only advantage, though! Replacing your windows improves home safety, too. Many older windows aren’t even made from tempered glass. This means that if they break, you and your family may be exposed to razor-sharp pieces of glass, which can of course be very dangerous. Newer windows eliminate this problem. Lastly new windows can improve the look and feel of your home, making it more pleasant for you and your family now, and even increasing the value should you intend to sell in the future. Contact Sunset Air today for expert window and door installations throughout Olympia, WA and beyond.